THE ZEAL of conductor Cesare Civetta was without a doubt the factor that made this concert as successful and enjoyable as it was. Civetta’s obvious love for the music was clearly reflected in the performance of the orchestra. 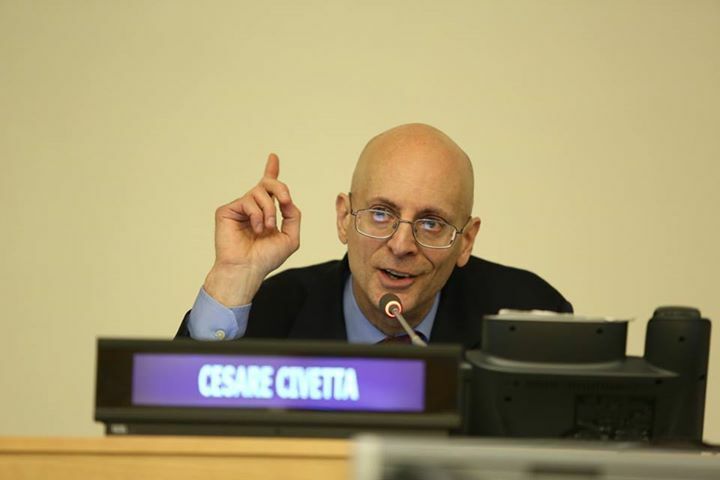 Cesare Civetta has conducted over 60 orchestras in 15 countries including sold-out performances at New York’s Town Hall, Lincoln Center and Madison Square Garden. I knew immediately that I had discovered a truly great talent. Under Civetta the orchestra was fantastic! National Public Radio, Swedish Radio, Russian TV, and the South African Broadcasting Company have carried his concerts live, and news of his performances has been featured on ABC, CBS and NBC TV. A native New Yorker, Civetta studied at the Academia Musicale Chigiana in Siena, Italy, the Aspen Music Festival, Fordham University, the Juilliard School, Manhattanville College (B. Music Ed. ), and the University of Cincinnati (Master of Music in orchestral conducting). His main teachers were Vincent La Selva, conductor, Walter Levin, violinist and founder of the La Salle Quartet, and Italo Tajo, basso and stage director. He has participated in master classes with Franco Ferrara, Lukas Foss, Carlo Maria Giulini, Otto Werner Müller, Max Rudolf, and Robert Shaw. 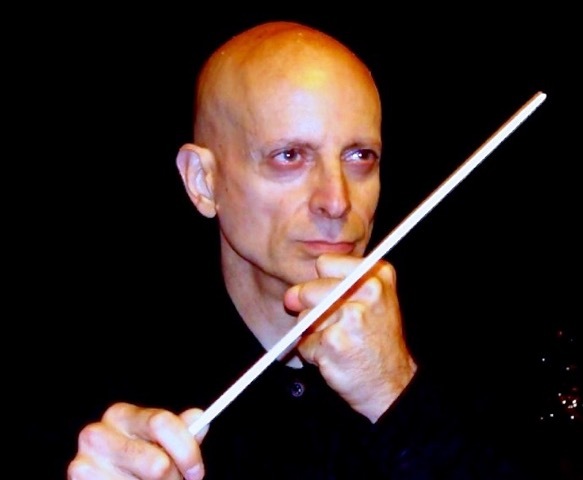 When he conducted at the master classes of Franco Ferrara in Siena with the Bulgarian Russe Philharmonic, Ferrara stated: Clearly Civetta has total mastery of the orchestra whereby he can get the orchestra to do anything he wants. Civetta conducted his first orchestral concert at 18, his first opera production at 19, and at 23 was invited to assist Julius Rudel, then music director of the Buffalo Philharmonic. Civetta’s debut in Sweden was with the Kammarensemblen, The Swedish Ensemble of New Music. The All-American program was broadcast live over Swedish radio throughout Scandinavia. He made his continental European debut in Walbrzych, Poland, where he introduced a rarely heard, late Schubert work, the ‘Grand Duo’ op. 140 orchestrated by Joachim. Mr. Civetta has toured Russia six times and has the unique distinction of being the first American to conduct a transcontinental tour of the former Soviet Union. Immediately after its demise he gave the first performance of the Stars and Stripes Forever at the Communist Party Headquarters in Yaroslavl. He has performed in 13 Russian cities including engagements at the Pushkin Opera and Ballet Theatre in Nizny Novgorod (Gorky), the Pacific Symphony in Vladivostok, the Irkutsk Symphony, and the Novosibirsk Philharmonic. Civetta gave the Khabarovsk premieres of Mozart’s 6th Symphony and the Overture to La Clemenza di Tito, and introduced Tchaikovsky’s Marche Slave to several Russian audiences for the first time. Such a packed hall in our city is beyond memory. Coverage of Civetta’s historic tour of Poland, Romania and Russia during the dismantling of the Soviet Union was broadcast over Voice of America, many of the concerts were televised live, and a video documentary was produced in nine languages. Cesare Civetta drew a sellout crowd. One of the secrets of the conductor’s artistic charm is the spirit of freshness and youth. The concert goers rewarded the mastery and charm of the world-renowned conductor with thunderous ovations. In China, he was the first foreign-born maestro to conduct at the Wuhan Conservatory of Music. Civetta has also given master classes and lectures in China and conducted the orchestras of the Beijing, Shanghai and Shenyang conservatories. In Durban, Civetta led the Natal Philharmonic in a series of concerts broadcast live by the South African Broadcasting Company. Illuminating, a style quite different, an entirely changed approach. The result was Mozart of precision, lightness, and clarity, while giving tenderness and delicacy full play. Civetta conducted with a genuine sense of style. Civetta is the producer of several radio shows including The Toscanini Legacy, for which he interviewed fifty artists who worked with Arturo Toscanini. His book The Real Toscanini: Musicians Reveal the Maestro is based on these interviews. 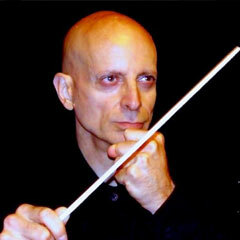 Maestro Civetta lives in New York City where he is the founder and conductor of the Beethoven Festival Orchestra, whose purpose is to provide affordable performances of classical music by the highest calibre symphony orchestra and soloists: all seats for the same price as a movie ticket, and students and seniors, half price. 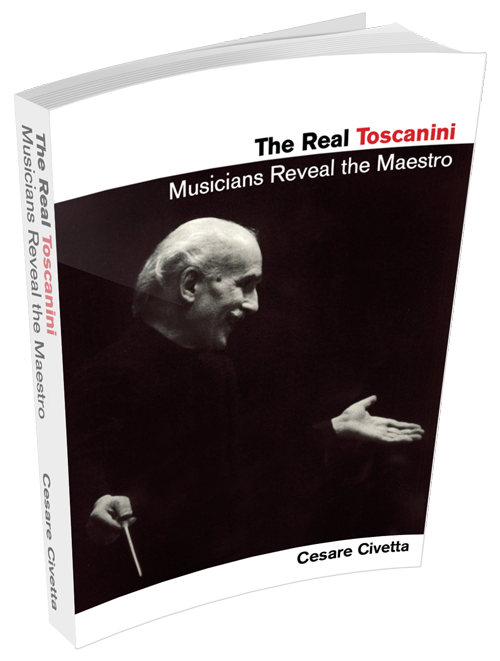 In The Real Toscanini: Musicians Reveal the Maestro, Cesare Civetta presents an intriguing collection of vivid interviews with 50 artists who worked with Toscanini.